The U.S. Army faces up to an eight-month delay on its fielding of active protection systems designed to defend fighting vehicles from potential missile threats, Defense News reported Monday. The service branch selected three platforms for an interim APS system requirement for the Abrams, Stryker and Bradley combat vehicles which would undergo assess off-the-shelf activities to fill the operational need. 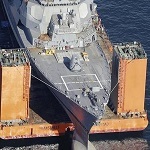 The delays on the Rafael-built Trophy system, the IMI-created Iron Fist and the Artis-made Iron Curtain platforms experienced issues related to switching radar, power consumption and software challenges. The Office of the Director of Operational Test and Evaluation noted the Iron Curtain delay was caused by a decision to substitute a radar initially planned for the APS platform. 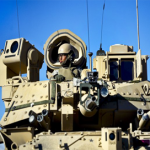 Col. Glenn Dean, program manager for the Stryker fighting vehicle, said the integration of Iron Fist into Bradley was hampered by the lack of a power distribution on the combat vehicle capable of supporting the APS unit. He added the Army will decide at the end of Phase 1 if it will proceed with Phase 2 testing or if it would consider another qualified platform before an APS system is made through the Vehicle Protection System program of record.